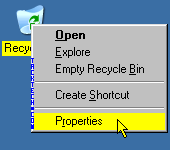 Change the Maximum size of the Recycle Bin (Global) (Windows XP) - TACKtech Corp. Select the Use one setting for all drives option. 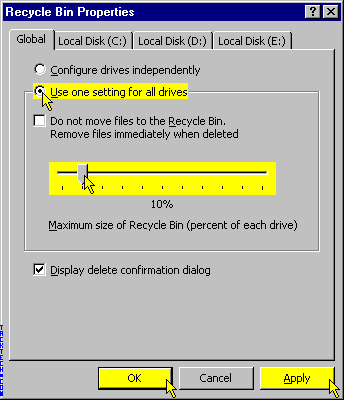 Move the slider to adjust the Maximum size of the Recycle Bin (percent of each drive).